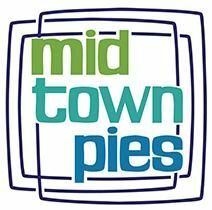 Midtown Pies - We are a pizza restaurant that serves an Italian fare of specialty pizza, New York style pizzas, calzones, subs, salads, pasta and beer. Come by to dine in our casual atmosphere today! We are a pizza restaurant that serves an Italian fare of specialty pizza, New York style pizzas, calzones, subs, salads, pasta and beer. Come by to dine in our casual atmosphere today! About the Business: We are a pizza restaurant that serves an Italian fare of specialty pizza, New York style pizzas, calzones, subs, salads, pasta and beer. Come by to dine in our casual atmosphere today! Best New York style pizza in South Florida. Baked on a natural stone oven. Family owned and operated since 1959. Serving authentic Italian food for lunch and dinner.